The staff were very friendly and the hotel beds comfortable. Easy to book, easy to find, clean room, VERY comfortable bed. Friendly staff. An easy stopover as we travelled from the UK down to the south of France. Lovely reception staff, powerful shower, comfortable bed superb breakfast. Value for money. Would definitely consider this again. Many thanks! On our return journey from Sth West France decided to stop off here. 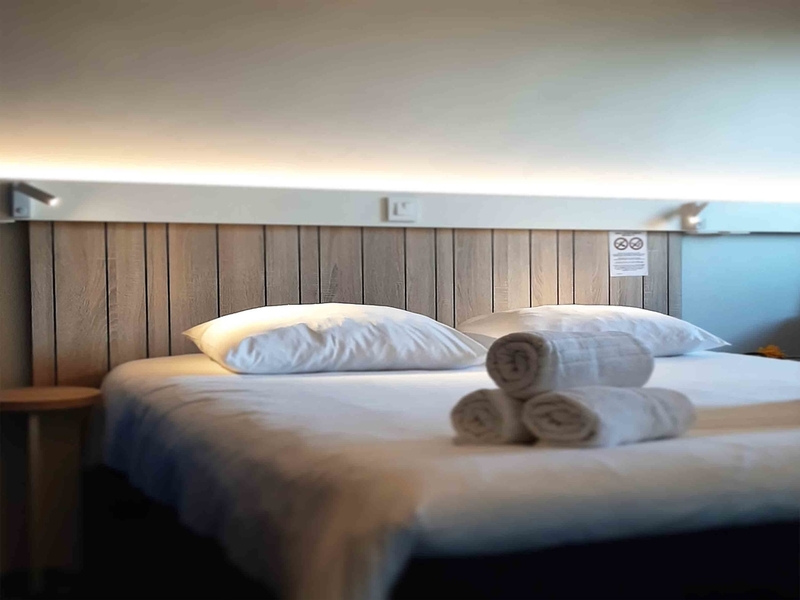 Very clean and efficiently run Ibis with nice bedding and a quiet room for a good nights rest with a great shower. Good choice of breakfast items and the benefit of a Courtepaille Grill next to it with a 10% discount for staying guest! Everything was smooth & easy from check-in to departure. The bed & room were both good. Everything clean & tidy. Rooms superb. Joyful staff on arrival & breakfast staff could not do enough to make the stay enjoyable. Excellent to be able to bring our pets into our room. A very pleasant stop over on our journey from Spain to Cherbourg. Will use this Ibis again. We arrived late, but were made to feel welcome and reception knew who I was. Straight forward check-in. Excellent room and exactly what I was expecting. Very clean, excellent quality and an excellent sleep. At Breakfast had an excellent choice even though I sat down at 9.30 I.e towards the end of breakfast session. Very enjoyable stay and good location for our overnight stay. Upgraded in recent years and improved breakfast restaurant facility. Use also as a stop over whilst car being serviced in nearby garage. Convenient restaurant next door for evening meals. Dog friendly. We arrived late at night to a warm welcome. Our receptionist was ready for us. Checked in no troubles and slept well. Wifi was impressively fast. Breakfast simple, dependable.